Exercise your philanthropic side in costume this fall at LA nonprofit Face Forward's fifth annual fundraising gala. 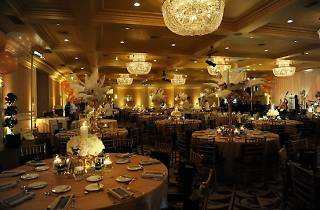 The theme this year is "Venetian Masquerade," and the organization's founder Deborah Alessi is determined to make her extravagantly adorned guests feel the throwback spirit: We're talking lavish performances, cocktails and a feast fit for a 15th Century Italian Royal. What's more? A slew of Hollywood starlets are confirmed to attend, including Lana Parrilla, Jennifer Coolidge and Missi Pyle. All proceeds will directly benefit the Face Forward Foundation, which provides facial surgical reconstructive services to women and children who've been the victims of domestic violence.